Synonymous of "wave" in the international kite language, the Religion MK8 kite is constantly evolving along with the kitesurfing discipline. 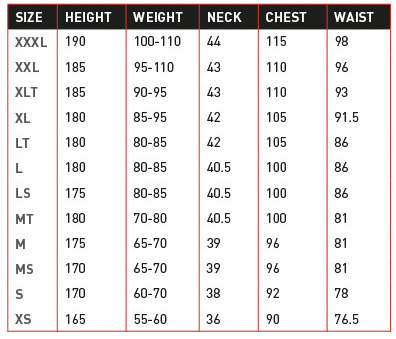 Con l'acquisto di questo prodotto è possibile raccogliere fino a 77 Punti fedeltà. Il totale del tuo carrello 77 punti può essere convertito in un buono di 15,40 €. 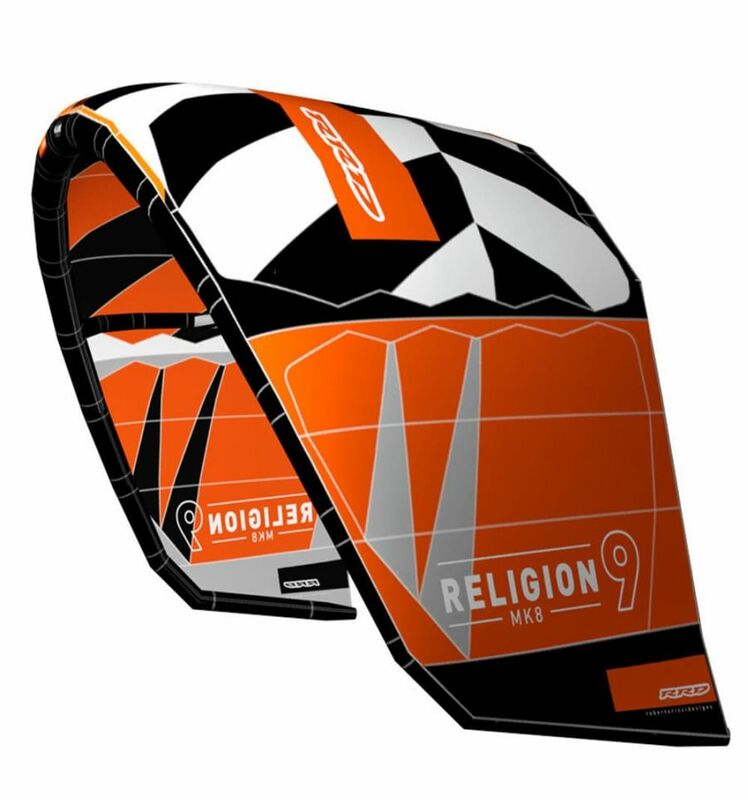 Synonymous of WAVE in the international kite language, the Religion MK8 kite is constantly evolving along with the kitesurfing discipline. Improving the already successful Religion each year has become a real challenge. We went back to the drawing boards and started to design from scratch to once again deliver the most responsive, reliable and fastest turningave kite out there. The MK8 has a new shape, shorter bridles, and has a higher aspect ratio. This improves the kites turning speed and drifting ability significantly; especially in the larger sizes, from 8.0 12.0 sqmts. The kite turns on the spot, has quicker reaction time when the back lines are not in tension and comfortable light bar pressure. This makes an easier kite to learn wave riding and an acceleration machine that allows for multiple turns on short sections of waves when conditions are not ideal. Unlike most fast turning surf kites on the market, the Religion MK8 still maintains its signature pull and power that also helps to get in a few extra turns down the line. The newly designed, longer leading edge of the kite not only allows for a more wistyfeel to increase the turning speed, but also creates a more loatybehavior of the kite in the air which improves stability when the wind gets very gusty. The improved stability of an already very stable kite design will make riding ricky conditionspossible both when the wind is super light or super ballistic. The Religion MK8 is the irst on- and last off the watertype of kite. As always, we built this kite strong and durableo it can take a pounding. The graphics of the Religion have allowed us to create a web of Dacron reinforcements on the canopy that give the whole structure of the kite an incomparable rigidity. 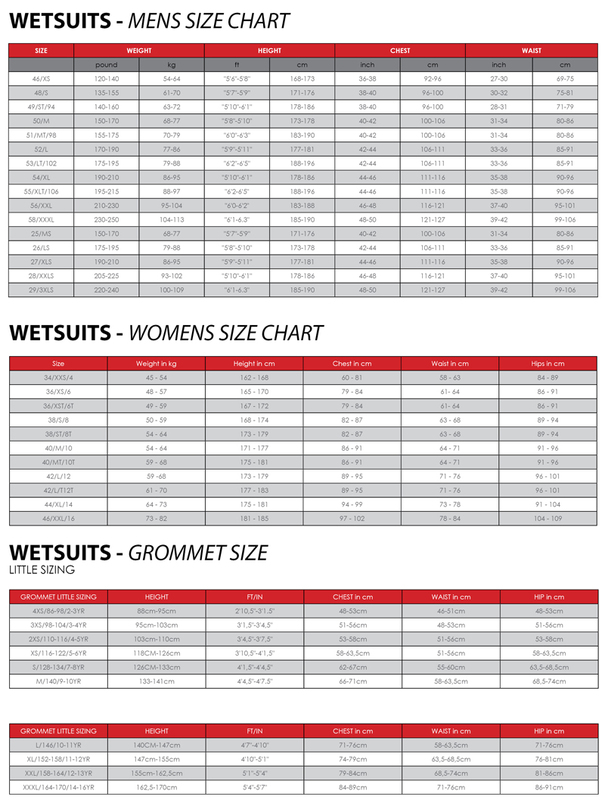 This wave proof construction is made up of 40% heavy duty Dacron fabrics and 60% of a lightweight double ripstop D2 Technoforce canopy. 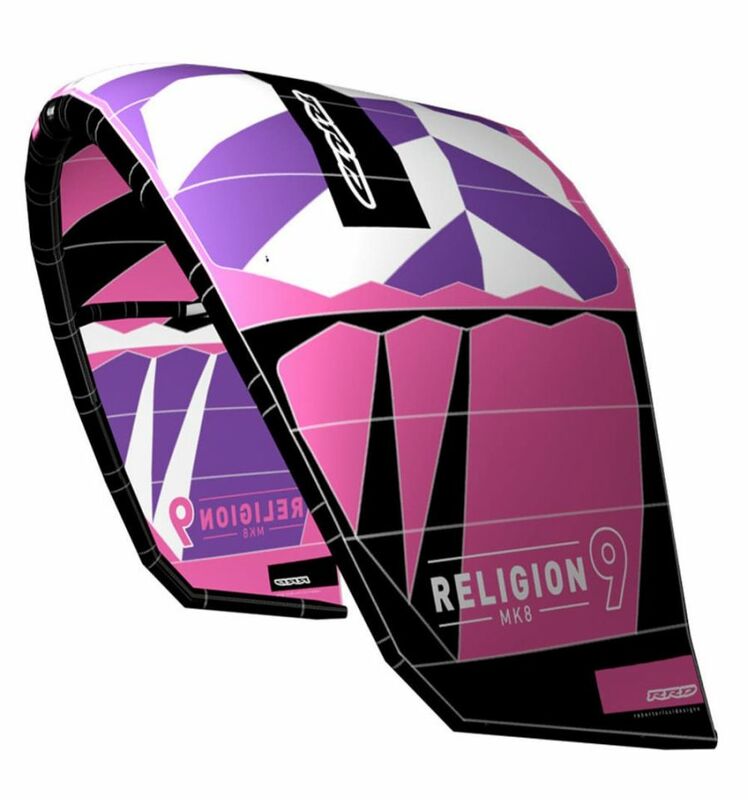 This unique mix is used only in the Religion kite, creates superior crash resistance, and extends the lifespan of the kite. The new Religion MK8 allows for a wider range of use both on the high- and low end of the kite. Faster, better lift during jumps, outstanding drifting characteristics, easy relaunch and an enormous progressive de-power that will stop the kitespower or powers up, exactly when you need it. Since its first introduction, this kite has changed in every version together with the evolution of riding waves with a kite. If the ocean is your church, then look no further than the Religion. New Improved Air Flow Valve, with special moulded protection cap and reduced dimensions. 4m, 5m, 6m, 7m & 8m have a pulley on the bridle, to handle the strong gusty conditions and improve the stability.